President Muhammadu Buhari has met with the former Department of State Services (DSS) Director-General Lawal Daura. Last weekend’s Aso Villa meeting is said to be in connection with a report on the August 7, 2018 invasion of the National Assembly by hooded DSS operatives. It was also gathered that the meeting centered on the resurgence of the Boko Haram insurgency in some parts of the Northeast. The options before the President are either to close Daura’s chapter on the invasion or re-engage him in the light of what some have considered an intelligence deficit in the fight against Boko Haram and the seeming ethno-religious tension in some states in the last three months. The plight of Leah Sharibu and Boko Haram’s execution of Hauwa Amina Liman, one of the two kidnapped International Committee of the Red Cross (ICRC) workers were said to have created some intelligence gaps, which Daura was believed to have filled in the past. A Presidency source confirmed that the President “had audience” with the former DG of DSS. This is the first time Buhari has met the former spymaster since he left office. ”Their meeting had to do with a pending report on the invasion of the National Assembly before the President and the nation’s security apparatchik,” the source said, pleading not to be named because of the “sensitivity” of the matter. “Apart from reading the report, the President used the opportunity to hear Daura’s side of the security siege to the National Assembly by DSS operatives,” he added. The meeting followed what the source described as pressure from Dasuki’s associate including members of the President’s kitchen cabinet. ”While some want the President to foreclose Daura’s case, others have insisted that the President should re-engage the former DG of DSS. But, to Daura’s associate what is more important is “the larger picture of the nation’s security”. They claim that Daura’s contributions far outweigh the infraction of August 7 2018, more so when the ex-DG of DSS has insisted that he did not act alone. 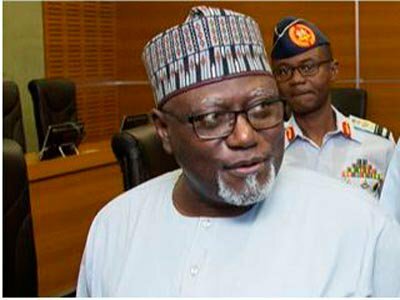 Said the source: ”The pro-Daura elements attributed the recent intelligence setback in managing Boko Haram crisis in the Northeast to the absence of the ex-DG of DSS. The Army and the Air Force have lived up to expectations but the intelligence back up has suffered in the last three months, leading to the incessant ambush of troops. ”They claimed that Daura was a key link to Boko Haram contacts and negotiation with the insurgents which led to the release of Chibok and 105 girls of Government Girls’ Technical College, Dapchi in Yobe State even without the knowledge of the Nigerian Army and the Nigerian Air Force. ”They pointed to the dilemma of a Dapchi school girl, Leah Sharibu, and felt only Daura ( as a member of the nation’s security set-up) can address it. Investigations revealed that there is a plot by some forces to mount pressure on the President to appoint Daura to another top security office . While sacking Daura, Vice President Yemi Osinbajo, who was then the Acting President, told the nation that the disciplinary measure was necessary to end impunity in the country. Inspector -General of Police Ibrahim Idris, in his report on the invasion of the National Assembly, claimed that Daura ‘acted unilaterally, without informing the Presidency. He did not share or intimate other Security Agencies on the unlawful operations’.